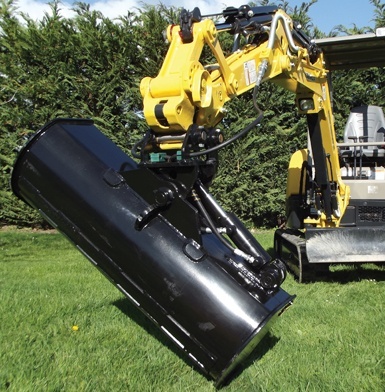 This is the ideal tilting bucket for the smaller machinery. With the innovative technology used in this bucket, you can rely heavily on these to perform. The ram has been mounted in a unique way to give more power and to eliminate the risk of material packing underneath it and therefore bending it. 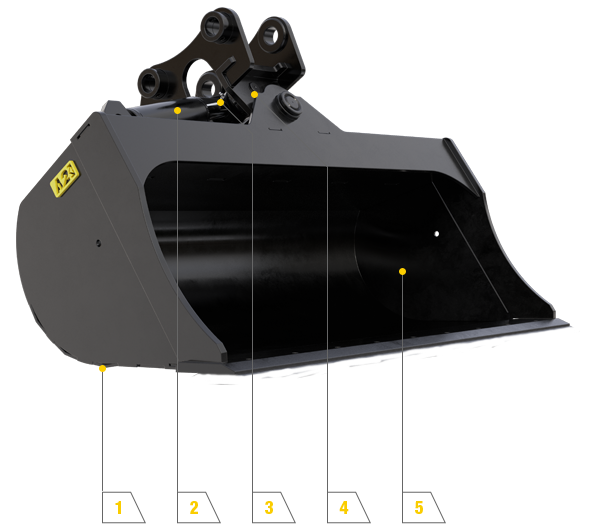 All front side styles, wear strips, cutting edge and bucket wrap is made of BIS400 grade steel, increasing the longevity of the bucket. This gives greater pressure improving your tilting capabilities and ensuring it stays in the required position. This reduces any chance material packing underneath it and therefore prevents the chance of damage. Ram has spherical bearings and pins are greasable to ensure they last the test of time. This strengthens the rap of the bucket against damage and from caving in. This means good movements for shaping and contouring the earth to your requirements. *Achieved through using machined pins to suit smaller diameters. Specifications are subject to change without notice.